Everyone always told us that Basenjis were escape artists… and its true! Posted June 29th, 2014 . They do seem guilty!! beautiful dogs!! Just practice for when the new baby comes! They are helping you baby proof the yard! At least they won’t bark and wake the baby! We had a basenji once. Great dogs! Love the way they cry real tears. The look on their faces….nope. Don’t believe this for a second. Hahahaha! 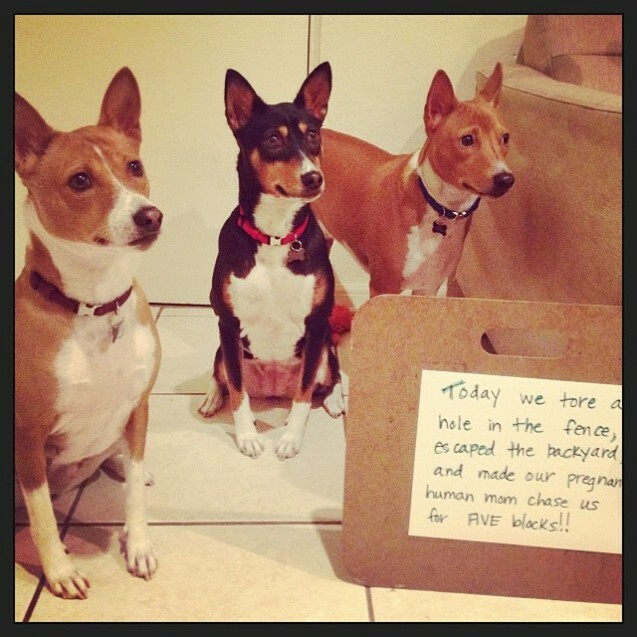 Never known a basenji to ever express shame; embarassment or disbelief for getting caught. But never shame! Lol! 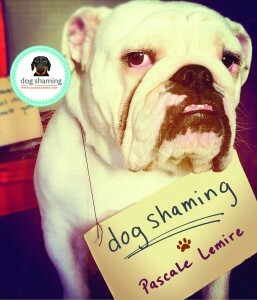 you are right, never shame. My Ivi always has a look on her face after get caught at a wrong doing like ” Look at me!, like shes proud of herself. haha! Your pups are just gorgeous – I’m having basenji envy. Aren’t they beautiful…and proud of themselves! I sent this to my Mom. Before she and my dad got married they both adopted tan/white basenjis from the same litter. My grandmother liked the dogs so much she got a basenji that looks like the one in the middle. Those dogs have all been gone for more than 30 years but this picture made my Mom super happy to remember her fur babies!